You don’t have to be told twice that “Donkey Kong” is a classic game. Almost everyone knows the game: the simple but challenging gameplay, the unsophisticated but effective effects…for some reason, “Donkey Kong” is a game that just works. 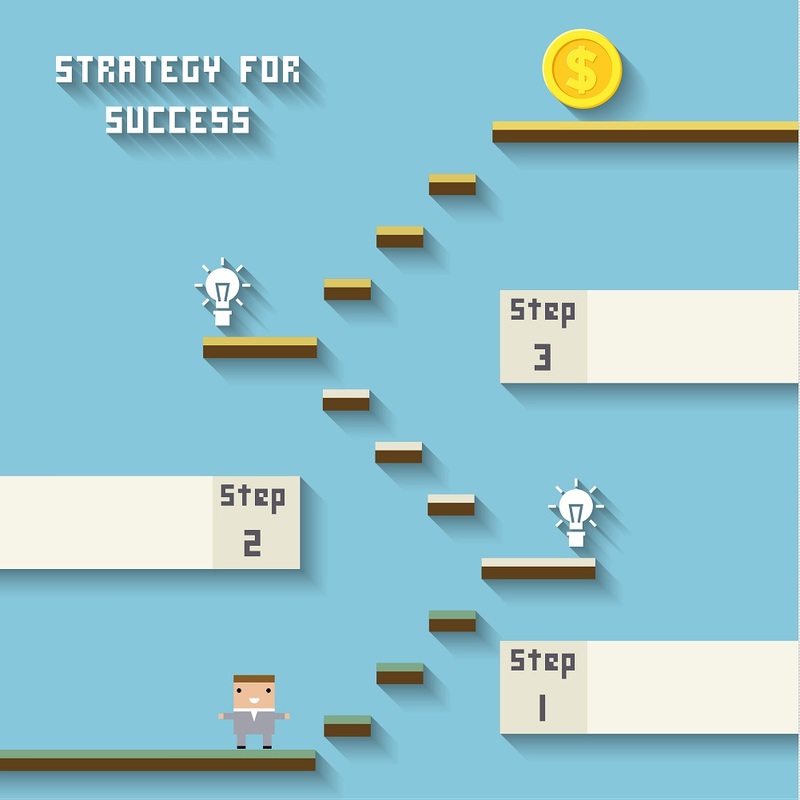 The answer is simple: gamification. You have to think about your lead generation efforts in terms of entertainment. But you also have to do what works. Why it works: Giving people too many options can actually reduce how many people become leads. By keeping the landing page simple, you reduce the mental effort your visitors have to make, which in turn increases the likelihood that they’ll proceed further. Source: Unbounce. “Donkey Kong” is considered a classic game not because it’s sophisticated, but because it’s fun. It doesn’t need to have a thousand graphic effects and work only on modern computers in order to be entertaining. It’s entertaining on a deep, basic level. And even after all of these years, it’s still entertaining. Now look at your preexisting landing pages. Can you say the same? When I look at some of the best landing pages I’ve seen in the mortgage industry, I don’t see a thousand digital effects, each more dazzling than the rest. A big—and obvious—call to action. Some of the best-converting landing pages I’ve seen have giant buttons for their calls to action. These buttons are so big and so obvious and contain simple messages like “GO!” that you almost want to click them even if you had no idea what the page was about. Like “Donkey Kong,” it’s fun without requiring a lot of modern niceties. Putting it above the fold. There’s no scrolling down as you play in “Donkey Kong.” Everything you need is on one screen. Likewise, there’s no scrolling in the best and highest-converting landing pages. It should be simple enough that the entire message can be made as soon as the potential lead lands on your website. Break it up into pieces. “Donkey Kong” might have a lot of levels, but each single level comes with a basic challenge. Don’t ask your landing page visitors for the sale all at once, either. Give them something they’re comfortable doing so they can progress to the next level. A fun, large “Go!” button entices you to click through. You may find yourself entering in your Zip Code just to see what happens. Checkmarks on the left give the sense of accomplishment. With three “checks” by creating a free account, a sense of reward is created. Your eye is drawn to the right places. Notice the subtle orange arrow to the above and left of the “Go!” button. Notice how that window is the lightest element there, which makes it easier to see. The contrast with the “rocket” background is effective and stylish. Start viewing things from this perspective and you begin to see why some landing pages outperform others: they’re more like games than websites. Why it works: Many of the world’s top internet marketers pay close attention to where eyes go on the page. Neil Patel of Quicksprout found, when researching eye tracking studies, that your most valuable content needs to go “above the fold.” The longer you wait to offer your best information or push your call to action, the less likely that visitors will become leads. One of the beautiful things about playing “Donkey Kong” is that it naturally leads your eyes—and even plays tricks with them. When you’re focused on one side, a challenge might come from the other. An effecting landing page won’t challenge, but it will definitely share the property of being able to lead a visitor’s eyes to the right place. Many landing pages are subtle about this, incorporating their eye-leading into the design. Others are more direct, adding on arrows that point exactly where the customer should be looking. Either way, your landing page should have a basic sense of itself. Where is the big call-to-action button? Where do the eyes first look when a visitor arrives? Heatmaps help a lot with this, but you’ll also want to find lead generating landing pages that do all of this eye-leading for you automatically. Why it works: So-called “gamification” engages people on a level of entertainment. When presented this way, we’re more likely to follow through. According to Unbounce, one Excel expert turned his Excel lessons into quizzes and was able to drastically improve his conversion rates as a result. Above all, a landing page should be fun. The person visiting your site should feel almost as if they’re playing a miniature game. All of these elements work to make a game rewarding as you move along. But they can also be applied to your landing page elements. Small rushes of dopamine in your potential lead’s mind will help motivate them to complete the forms you put in front of them. The same principles that make games so fun and exciting for people to enjoy are the same principles that make effective landing pages work. You don’t have to go the full way and create animated characters for your landing pages. But you should pay attention to these important psychological elements. You’d be amazed at how effective they can make your lead generation and push your visitors to continue through your sales funnel. This isn’t creating the addicting effect of video games. In fact, some research suggests that playing video games is good for you. Why it works: Different landing pages suit different goals. If you want to invite someone to become a lead by playing a quiz, a Click-through might work better. If you want to offer someone a newsletter, a Lead Generation Landing Page will suit you. For more information on landing page types with visual examples, visit Kissmetrics. There’s not just one “Donkey Kong.” The game has been updated over the years, so much so that you can play the game or the characters across different eras. Click-through Landing Pages. This one is simple. A click-through landing page is just as it sounds: it’s designed to get a potential lead to click a button and continue the process. That means the landing page is an introduction—more like a business card than a true lead generator. Some Click-Through Landing Pages can ask a question and give potential leads more options. 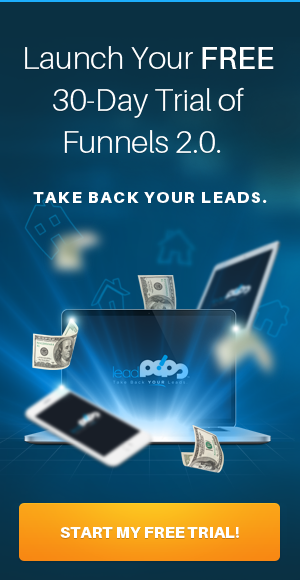 Lead Generation Landing Pages. 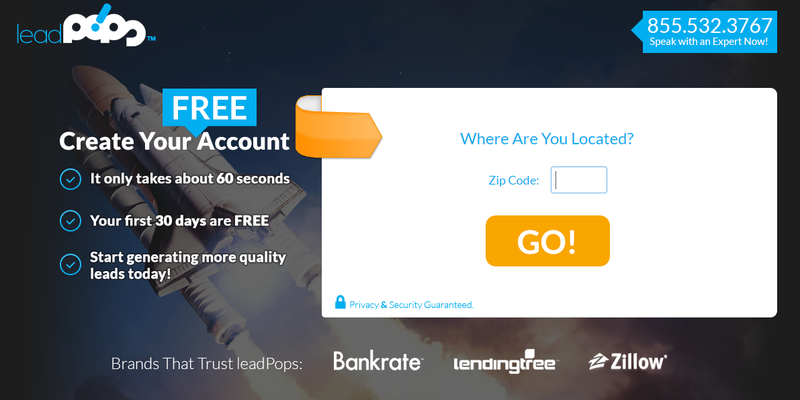 These are landing pages that are designed to capture potential lead information and turn them from a visitor into a lead. It should contain some sort of offer (such as a “Free Quote!”) and then ask for information in return. The best way to set up this kind of landing page is to ask easy, non-intrusive, qualifying questions (anywhere from 6-20 questions) before getting into questions people aren’t as comfortable with, such as contact info. Mobile Landing Pages can follow either of the two principles above, but they’re designed to be used on, easily enough, mobile phones. The key here is to keep things simple so that potential leads don’t browse elsewhere. How do you get people to convert into leads? Why it works: Video games activate your brain’s “reward circuits,” which in turn provides motivation to move forward (Source: Psychology Today). These same principles can be applied beyond the gaming landscape in order to motivate people to click through and become genuine leads for your business. It’s easy enough to see what people get out of “Donkey Kong”: they get entertainment and they get challenge. They pass the time with pleasure because the game continually rewards them from level to level. Contest signups. Asking for a name and email to enter in a fun contest is a lot different than simply asking for a name and email. Discounts, rebates, vouchers. This is the simplest way to offer value to a potential lead. Free reports, eBooks, and more. People love free stuff—signing up to a newsletter is often seen as small compensation in order to receive a free report you’ve constructed. Why “Gamification” Works: There’s more going on here than a basic level of “fun = engagement.” Gamification refers to a philosophy of lead generation that will enhance your ability to turn visitors into genuinely interested prospects. Knowing what makes “Donkey Kong” like an effective landing page is important. It means you understand why some people become leads and some don’t; your ability to hook attention, motivate further action, and become more knowledgeable about your potential leads is central to your success in the mortgage, real estate, and insurance industries. This process also requires a basic principle of seeing things from the end user’s perspective. When “Donkey Kong” was created, it wasn’t necessarily for the artistic purposes of their creators. Instead, the game was created to engage, challenge, and lead people to the end. It was designed to be an entertaining product from start to finish. When you view lead generation as its own tool and its own strategy, you begin to see why it’s so important in effectively generating mortgage, real estate, and insurance leads as well. This isn’t about creating a great landing page for you—it’s about creating an effective one—and an experience that will motivate potential clients to continue beyond the landing page and accelerate them from an anonymous click into a tangible, qualified, exclusive lead. If your lead generation efforts are not entertaining or engaging enough, “gamification” should be your new favorite word. It will change the way you view landing pages and contact forms, and—ultimately—the way you view potential clients. 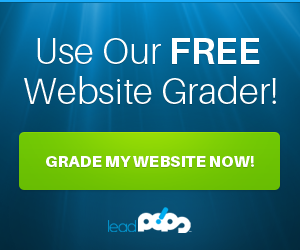 To see how landing page gamification can work for you, try a free trial of leadPops.